These days, more and more important documents and records are stored digitally, but they can be just as vulnerable to data theft as paper material. When it comes time to dispose of those files, you must be proactive to protect the sensitive information they may contain. In Massachusetts, for example, businesses are legally required to ensure the security and confidentiality of their employees’ and customers’ documents. In Peabody, it’s easy to have your personal and business documents professionally shredded at your home or office. Just call A1 Datashred. We can quickly and economically destroy and recycle your computer and hard drives and your paper documents. And you can be confident your documents will be disposed of with the highest security standards. Our well trained, professional staff undergo thorough background checks and drug testing and are required to sign confidentiality agreements.  A1 Datashred has also earned AAA Certification from the National Association of Information Destruction. No shredding project is too big or too small. With a quick and confidential, no-obligation phone call, our knowledgeable A1 Datashred staff will explain how our on-site or off-site shredding works. We’ll give you a quote and schedule your appointment for a one-time service or help you choose a schedule for periodic shredding. We schedule shredding in Peabody Monday through Friday. You can set up your appointment for as soon as tomorrow or just pick a day that works best for you. A1 Datashred is a mobile document destruction company. We’ll come directly to your Peabody business or residence. Your documents don’t leave your home or office until they are completely destroyed. And you can even watch your documents going through the shredder from a monitor on the side of the truck. FAST: We can shred 3 tons of paper an hour. Instead of spending hours shredding your documents by hand in a personal shredder, or worrying about whether they’ll be stolen from your trash can, our document shredding saves you time and provides peace of mind knowing that your documents are destroyed quickly and completely right outside your front door. EFFECTIVE: Once a document is shredded by our industrial shredders, it can’t be put back together. It’s impossible for identity thieves to reconstruct your personal or clients’ sensitive information. AFFORABLE: A1 Datashred offers a pricing structure based on the volume and how often you need the material shredded. No surprise added charges. The quote you receive when you call is transparent, upfront, and easy to understand. CONVENIENT: We will pick up your old computers and other electronic equipment, destroy the hard drives and other digital storage devices, and provide you with a Certificate of Destruction. Your electronic equipment also will be disposed of in an environmentally sensitive manner. For an efficient and effective way to dispose of your personal documents and electronic equipment, contact A1 Datashred. Our helpful team will answer any questions you have, give you an accurate, free quote for our shredding services, and help you set up your first mobile shredding and/or electronic recycling appointment. Call today!